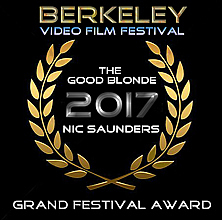 After a wonderful reception at The EBSN Conference at The University of Chicago Centre in Paris last month in which Nic spoke about our Beat film project, adapting Beat poetry for the screen and working with Beat luminaries such as Michael McClure, Carolyn Cassady and Al Hinkle, we are absolutely delighted to announce that "The Good Blonde" has been selected as the opening night film for the 2017 Berkeley Video and Film Festival. We are thrilled that the Festival has chosen to screen the film and honoured to open the festival. In addition to the film itself, Al Hinkle will be making a very rare public appearance to support the screening. Al, of course, features in the film as the old man in the bookstore who befriends our hero and gives him some words of wisdom drawn from his many years on the road. However, Al is better known as being a friend of Jack Kerouac and is immortalised in several Kerouac novels, including "On The Road". Al will be interviewed before the film by Bay Area poet and broadcaster Jack Foley. We wish we could be there in person to support what will surely be a very special evening. After the interview and before the film, the BVFF will screen a short 5 minute introduction to the film which we filmed especially for the festival last month. The Festival opens at 8pm tonight and more information can be found HERE, so if you are anywhere near Oakland, California tonight then turn up for what will be a magical Beat happening. 14167 Films are both delighted and proud to announce that Nic will be a guest at The European Beat Studies Network conference in Paris later this year. 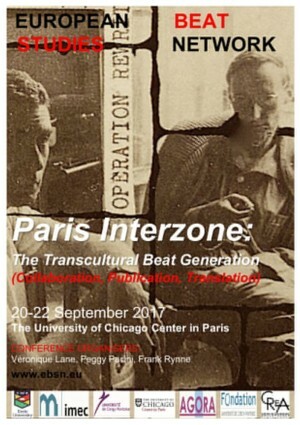 The conference takes place across 20 - 22 September at The University of Chicago Centre in Paris. Organised the EBSN, the conference is aimed at being an academic network for scholars, students writers and artists interested in the Beat Generation, Beat Studies and related research areas and activities. Nic will be presenting some of our films and speaking about the film making process. We were delighted to learn that Bay Area poet and Broadcaster, Jack Foley, had subjected our Kerouac film to his normal expert scrutiny and written a beautiful analysis of the film on the literary website Caveat Lector. Check out what he had to say HERE As ever, all news and reviews will be posted here first and make sure to follow us on Twitter. It's really exciting to be able to announce that 14167 Films' very own Nic Saunders has been made a member of The European Beat Studies Network. The EBSN brings together, from across and beyond Europe, those who share an academic or creative interest in the broad field of Beat culture. The EBSN aims to be inclusive; a genuine community of scholars and students, writers and artists, which not only reaches out to all kinds of people who work on the Beats, but also actively invites their participation.